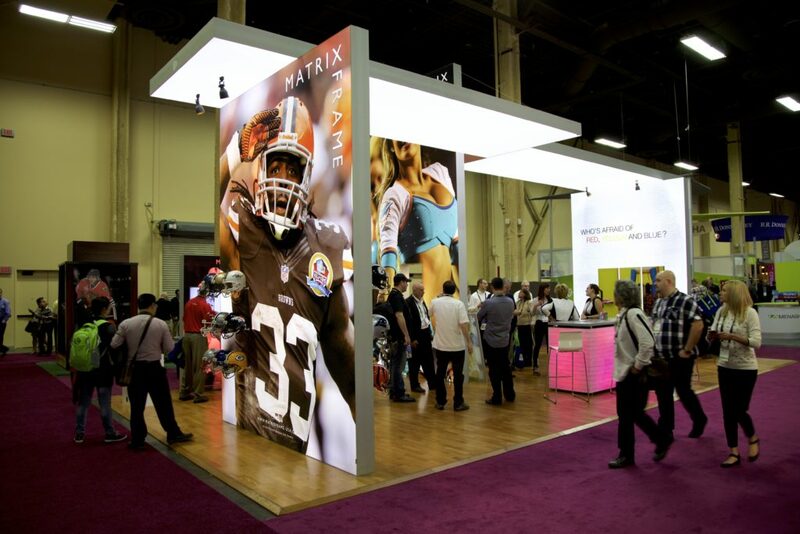 At the GlobalShop show in Las Vegas, Nevada, the Matrix Frame booth really drew people in with NFL football helmets seemingly floating from the silicone-edged perimeter-lit graphic. Attendees were particularly intrigued because the helmet-arms were attached to the light box without the slightest shadow, all thanks to the magnetic accessory system developed by Matrix Frame. 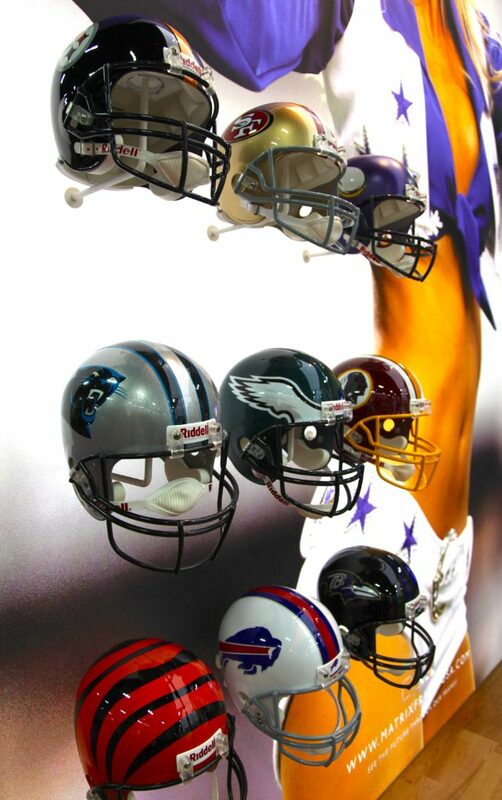 In addition to the helmet arms seen at GlobalShop, the magnetic retail accessory system also includes ball holders, shelves and mounting pins for hanging clothes.